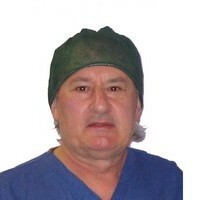 Doctor Stefano Mattioli was born in Brunoy, France, on April 5th 1950; he graduated in Boulogne in 1975, where he afterwards became a specialist in urology and worked at Malpighi Hospital until 1982. Since 1984 he worked in urology ward in Santa Maria Castellana Clinic (Varese) and Poggio del Sole Nursing Home. He began using laser in urology in 1984 and published numberless works about the use of new laser sources in the urologic field in meetings both on a national and international circle. At present he is a member of S.P.I.E. (International Society for Optical Engineering) and a consultant of the national group for the application of laser in medicine. The Laser Urology Centre was born thanks to the experience of Doctor Stefano Mattioli, who was the italian urologist who first introduced the use of laser in urologic surgery rooms ever since 1984. Doctor Alessandro Picinotti is another promoter of the centre and the one who means to continue such procedures through divulgation and spreading of information about the use of laser in urology.